18 pretty years an d a blast of talent – please meet Charlotte, the modern doo-wop singer. Talented professional, charmingly enthusiastic singer and romantic songwriter, she revives the oldies tunes with her brother. 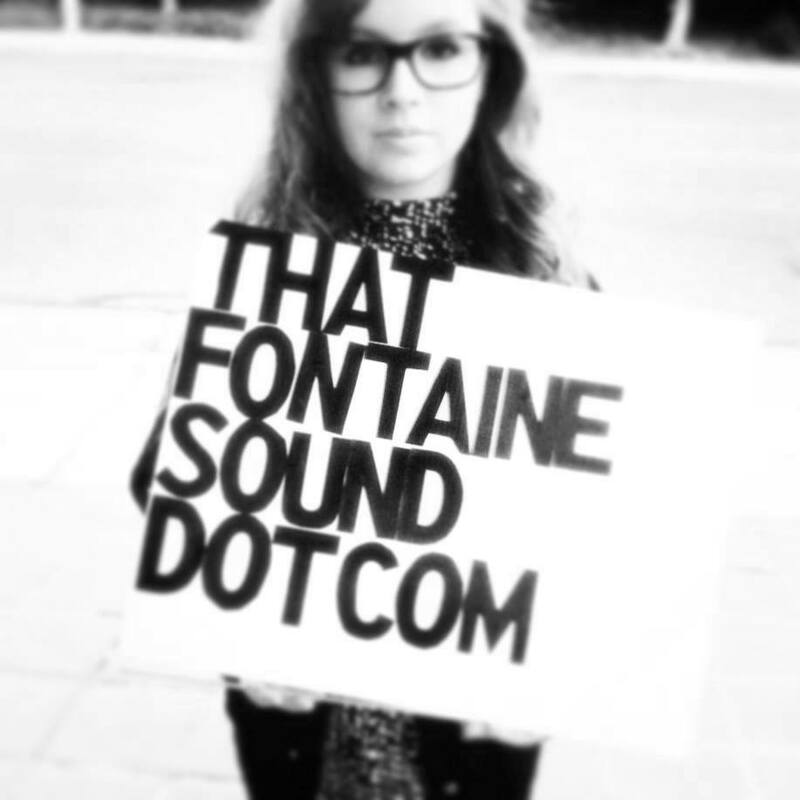 OldiesMusicBlog: What is the story of The Fontaines? My brother and I began playing music together probably around six months ago professionally, but we’ve written together for about a year. Since April we’ve started playing venues around Los Angeles, trying to create a buzz for our music. We chose to work together because we both appreciate the same kind of old school sound that has such an incredible amount of warmth and soul to it! OMB: How was your first concert together? I actually remember our first show like it was yesterday! It was at a venue called Kulak’s Woodshed in West Hollywood. I was really excited to be able to play on stage with my brother since music had begun for me as sort of a way to compete with him. I was really inspired by his musicality and still am. It was really nerve-wracking performing in front of our family (it always adds so much pressure), but I felt a lot more comfortable on stage with Hank than being alone. OMB: What is the song you cherish the most on your debut album? “At The Tuileries” is by far the most sentimental song for me even though it’s so simple. It’s the most vivid of the memories I put into the songs. I can remember the encounter with the boy it’s written about like it was this morning. Although I know for a fact he has no idea that most of the songs we write have something to do with him… and I haven’t decided if I wanna keep it that way or not! OMB: What is your biggest ambition right now? My dream has always been the same thing, to be able to financially support myself off of my music. We both have the desire to write and perform our songs and write for other artists someday. OMB: You are so young, but still listening to oldies music. How did this passion emerge? OMB: If you were to choose one great artist as inspiration, who would you name? Sam Cooke. Wow. What a great singer and song-writer. OMB: The Beatles or The Rolling Stones? OMB: The Supremes or The Ronettes? The Supremes. No The Ronettes. I’ll have to go with both! They’ve both had such a big impact on the kind of music I like to listen to and write! OMB: Did you meet in person any doo-wop band from the ’50s-’60s? I was able to meet The Platters in person after one of their shows in Las Vegas. I was sixteen at the time though and was much too shy to tell them that I was chasing after bringing back old school tunes!